Welcome to the mobile phone (smartphone) optimized version of my website! 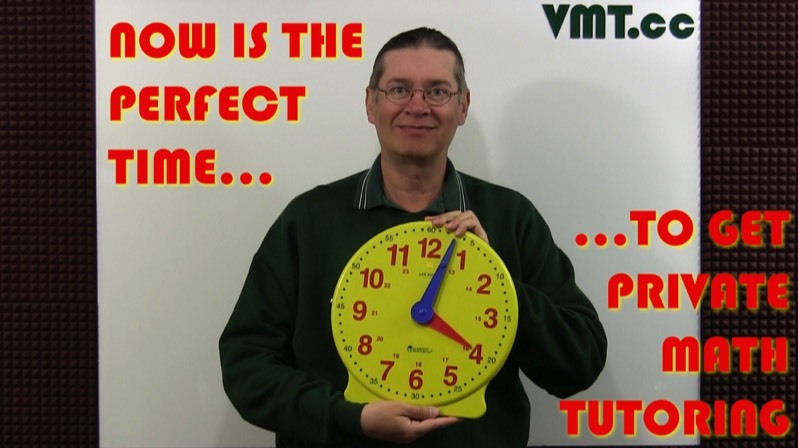 I am a professional mathematics tutor known as The Video Math Tutor. This site is intended to help students from seventh grade through college. Teachers, other tutors, and parents will also find this site to be very useful. It contains a collection of high quality videos and printable notes created by me. If you are an educator, you are welcome to embed my free videos onto your own website. This is a rather large site, so please take the time to browse it. Enjoy! *Special Note to Teachers, Parents and Tutors: If you plan to use my videos for teaching/tutoring purposes, you need to buy the DVDs (not just watch the free videos on this site with your students). The good news is no additional school licenses are needed! Students: Although not required, it is appreciated if you could buy at least one DVD lesson from me. Your purchases allow me to dedicate more time in creating even MORE and BETTER videos for you! Thank you in advance! Please click on the menu button(s) above or the links below to discover all what this site has to offer. 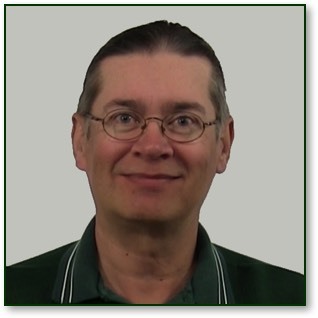 I would like to take this moment to remind my many viewers that I not only make math videos, but I am also a professional math tutor with over 33 years tutoring experience. I can tutor math in English or Spanish since I am fluent in both languages. I am proficient in using most calculator brands and models (TI, Casio, Sharp, and HP) and can show you how to use yours and/or make recommendations on what calculator to buy. I can tutor students from 7th grade through college. I have a reputation of making math seem easy and even fun to understand using my creativity and unique sense of humor. I use quite a few visual aids (some of which I actually invented myself!) when tutoring, to keep my sessions from getting boring. My rates for private tutoring vary from $15 to $30USD per hour, depending on how many hours of tutoring you order. Mention in the “Special Instructions” that you saw this video on YouTube, and I will add an extra 20 minutes for FREE for your first hour of tutoring (what a deal!). I am also available to help supplement home schooling. I usually use Skype for my online video tutoring, but can also use FaceTime. I am confident you will spend much less money with me as your tutor than you would with my competitors, and get more out of it. I also accept payments through Google Wallet. Contact me for details. Thanks for your support and KEEP STUDYING! I majored in Mathematics and minored in Computer Science while in college. I attended both the University of Arizona and Arizona State University. I have 33 years of tutoring experience. I am proficient in using most calculator brands and models (TI, Casio, Sharp, and HP). I provide students from 7th grade through college with free and premium ($$$) math videos and printable notes of my own creation. Topics covered in my videos include arithmetic and algebra with more coming soon. I have invented some of the math manipulatives (“math toys”) seen in my videos! Most are from other companies, but I have usually modified them for my lessons. A few companies have hired me to make custom videos, including: Pearson (the textbook publisher), Lumos Learning, and Guaranteach (now a part of sophia.org). I am available to make custom videos for you or you can license the videos I have. Contact me for more information. I have a reputation of making math seem easy and even fun to understand using my creativity and unique sense of humor. This educational website is privately owned and operated by me. It was created to meet the demand for video-based digital math tutoring. It is NOT affiliated in any way with ANY educational institution, calculator company nor educational business. • Junior high school students. • High school students that wish to pass their state or national standardized tests like the SAT or ACT. This will also help them with their regular or AP math courses. • Lower division (Freshmen/ Sophomore) college students taking a math course. • Tutors and private instructors of the above students. • Parents of home schooled students, so they can provide their children with professional math tutoring. • University math departments and tutoring/learning centers. They may link this site to theirs and thus provide their students with valuable study aids. • Educational businesses/services/directories & textbook publishers/authors. They may link this site with theirs. I would be happy to help you with your math publications. Click on the envelope icon to fill out the contact form and send me an email message (this is best way to contact me). The advice given to students, parents, instructors and tutors is the opinion/property of Mr. Luis Anthony Ast and in NO WAY represents the views nor opinions of any educational institution. Tips from other sources are clearly indicated and remain the property of their respective authors/owners. All graphics/icons used are either in the public domain or were purchased for use by the author (artist still retain ownership). All tradenames are the property of their respective owners and Mr. Ast in no way wishes to infringe on their rights and uses them only for illustration/ identification purposes only. Any business or individual listed/linked here is by choice of the Author and does NOT represent nor imply endorsement by any educational institution. Neither VideoMathTutor.com, nor Luis Anthony Ast shall be liable for any errors or for incidental or consequential damages in connection with the furnishing, performance, or use of this website (or Math Videos and Notes) or the procedures contained herein. Users need to be aware that there are instructors out there that force students to do math "their way" and will penalize students for using methods/tips/tricks that are presented within this site. Students assume all risk in using this web site, notes or videos. This site, the Printable Notes, and the Math Videos are subject to change without notice.